BendWeather.com is a not for profit website that was created to provide current weather conditions and travel conditions to the residents of Bend, Oregon USA (and anyone around the world) in a convenient easy to use manner. We started BendWeather.com in 2003 in Tumalo as a way to place weather and other information from our home in Bend on the web so we could check in anytime while we were living in Belfast Northern Ireland and during our travels around the world. It was nice to see what was happening at home and the webcam image always enlightened the gloomy days in Northern Ireland. 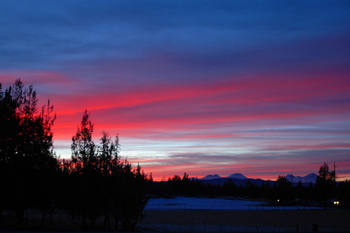 In 2006 we returned home and moved the station to a location between Bend and Alfalfa. 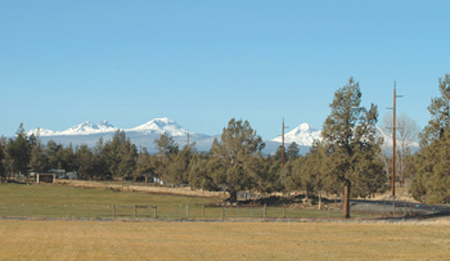 This gave us a gorgeous view of the three sisters across the pasture lands of Central Oregon. We would like to find a location on Awbrey Butte to place a webcam looking at downtown Bend. If we can find the location and support, this would be a truly unique and useful view. A ideal solution would be a remotely operated pan/tilt/zoom cam that can see the greater Bend area, Mt. Bachelor and the cascades. 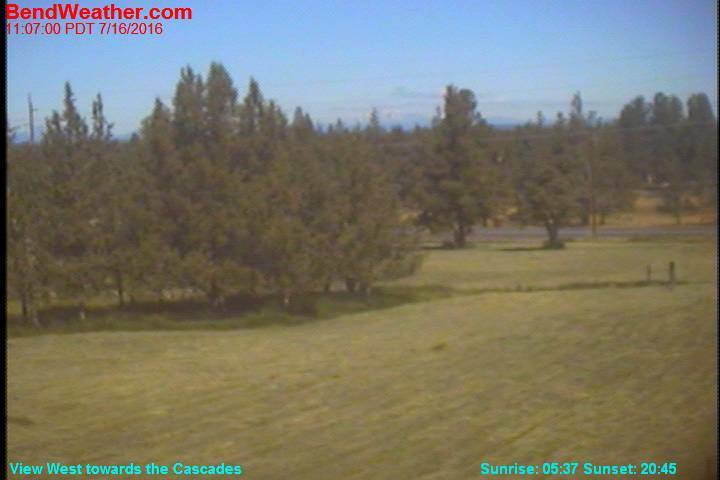 We also plan to improve the webcams here at the ranch as finances permit. As always any input to improve the usability of the site or it’s contents would be greatly appreciated. 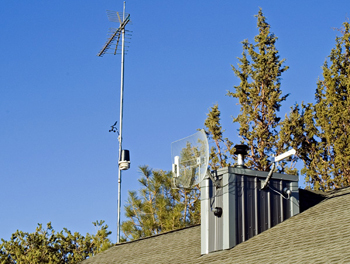 The weather station is a Davis Vantage Pro wired mounted atop the roof of our house on the east side of Bend Oregon. Our weatherstation interface and Display Software is Weatherdisplay. The website was built using inspiration and bits and pieces of code from all over the web. Special thanks go to TNET Weather, Carterlake.org, Saratoga Weather, as always Brian of Weatherdisplay, The Branford Fire Department weather website, and many others. Thank You all. We welcome any comments, input, criticism, help and questions, please! use the Contact Form page to give us input or write us at webmaster@bendweather.com.